It hardly seems possible, but it has been a year since the last Concorso d’Eleganza Villa d’Este, an annual event held in the grounds of the magnificent Grand Hotel Villa d’Este along the shores of Lake Como. Now in its eightieth year, just fifty examples of the most beautifully stylish automobiles built between the nineteen twenties and the nineteen seventies are invited to display in this tranquil setting in the beautiful region of Lombardy, northern Italy. As a professional photographer, it is the colours and shapes mostly of the classic cars of the 1950/1960s, that inspire me. My absolute favourites are the Lancias and Alfas so when I saw the Alfa Romeo Sportiva, this was a special moment for me. 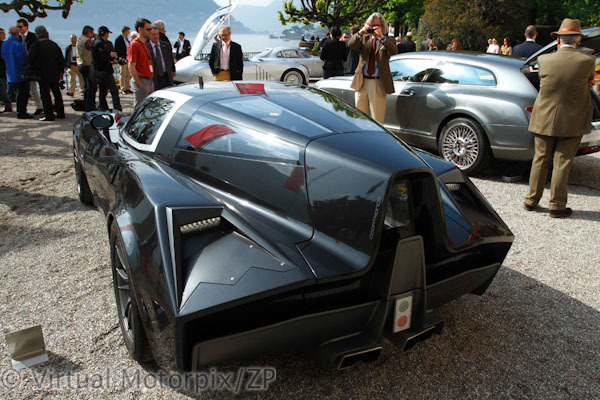 In front of the Sportiva were five ’new’ cars representing the modern form of the best Italian coachbuilder traditions. One of these is the Spada TS Codatronca. 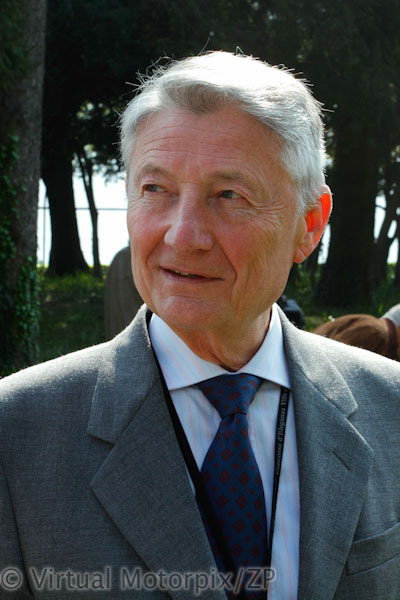 The legendary designer Ercole Spada, present on the day, is perhaps best known as the chief designer of Carrozzeria Zagato, but his other works are also most notable. One just has to turn to the Aston Martin DB4 GTZ, the Lancia Flaminia Super Sport, or the Alfa Romeo 155 to see how elegant, muscular and flowing his designs are. 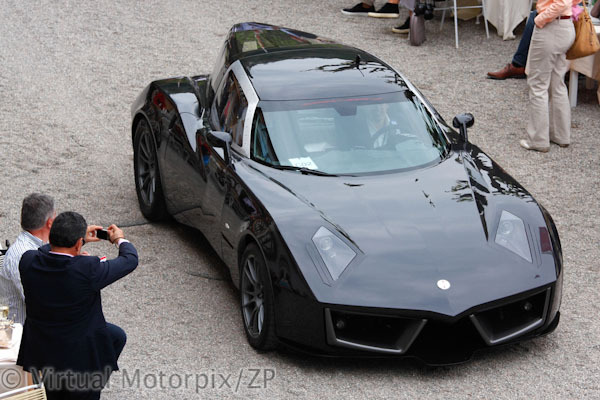 Today he runs his own firm, Spadaconcept, responsible for the creation of the stunning TS supercar in 2008. 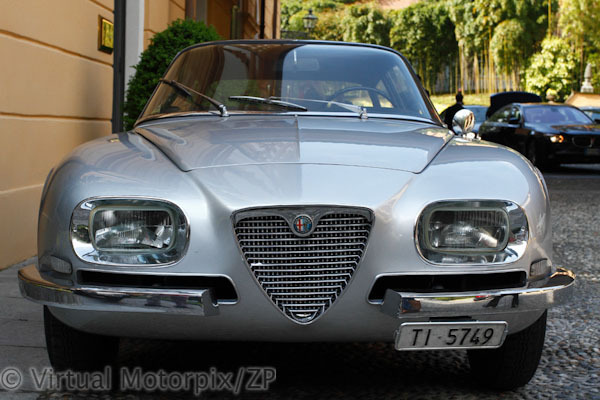 In my opinion, it is beautiful and very suggestive of the 1965 Alfa Romeo TZ. There were fifty-eight internationally acclaimed cars at front of the Grand Hotel Villa d’Este, but I found the most interesting one at the back of the building. 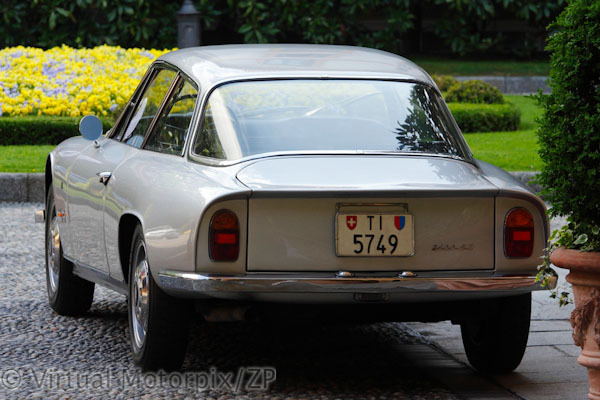 For me, the little Alfa Romeo 2600 SZ parked quietly at the back entrance, is the most beautiful of all the Zagato Alfa Romeos – designed by Spada, of course – with its perfect proportions, curves and typical front. Before this meeting I had only seen images of this car as it is rather rare. In the metal, however, the 2600 SZ not only appeared much smaller than what I had expected, but also more beautiful. As I was taking some photographs of the car I was approached by the owner, an old gentleman in a stylish suit, grey hair, courteous style. 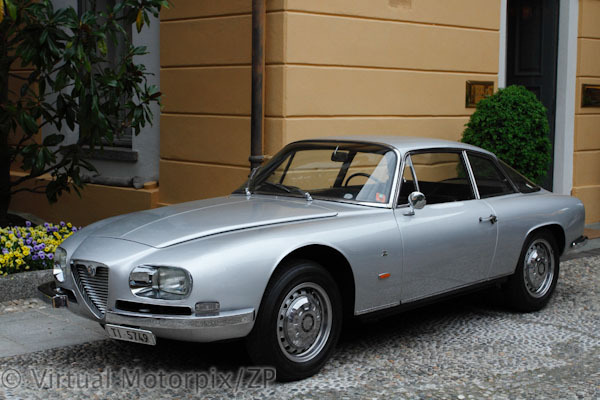 We talked about the 2600 SZ and I said that it’s my favourite car and more interesting for me than the competition cars. He replied with some shyness, “Oh no, that’s not so valuable or interesting. You know there were just 105 of them made.” I had remembered around 120 examples being produced, but he was right of course. I told him I will wait until he starts the engine just to hear its sound, and with that, the car left. 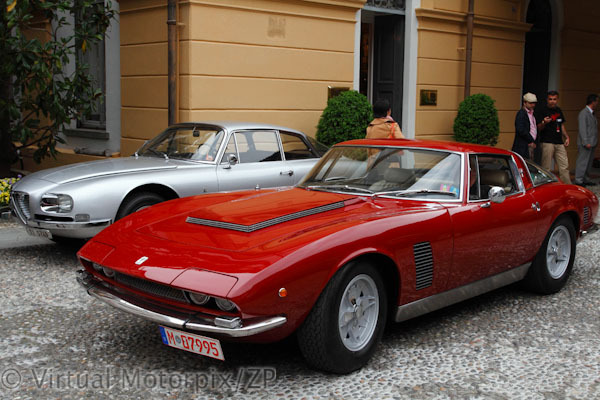 Next day at the Villa Erba, the public display area, I took more shots of the cars on display there when another old man came up to me. 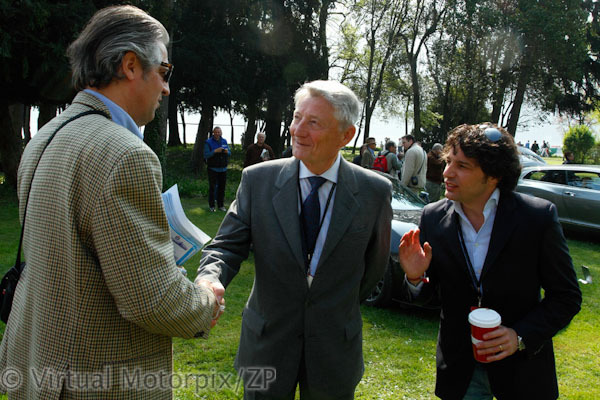 Dressed in a stylish suit with grey hair, he approached with his son, Paolo. Their family name…Spada.